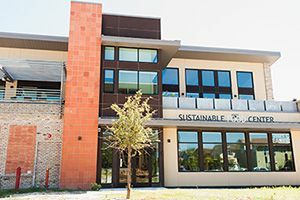 The new Sustainable Food Center training facility built in 2013 is accessibly located in East Austin near the MLK Metro Rail station. Photo by ixi.photography. 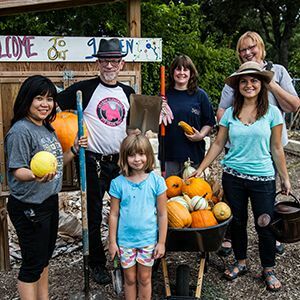 SFC's Grow Local program offers the resources and education to empower children and adults in Central Texas to grow their own food. Photo by Thomas Winslow. 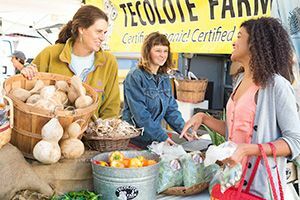 SFC hosts four of the largest weekly farmers' markets in the state of Texas, and hosts more local farmers than anywhere else in Austin. Photo by Buff Strickland. 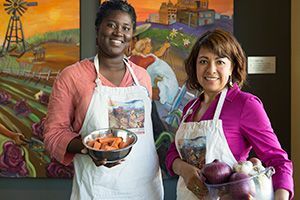 Through SFC's The Happy Kitchen/La Cocina Alegre®, SFC offers community cooking and nutrition education classes for the preparation of meals that are delicious, nutritious and seasonal, ensuring lasting dietary changes. Photo by Buff Strickland.